Congratulations to "Jackie. W." and "Mary P.", the winners in Susanne's giveaway. Thank you to all who participated! Today, I’d like to introduce you to the town of Braden, Iowa. 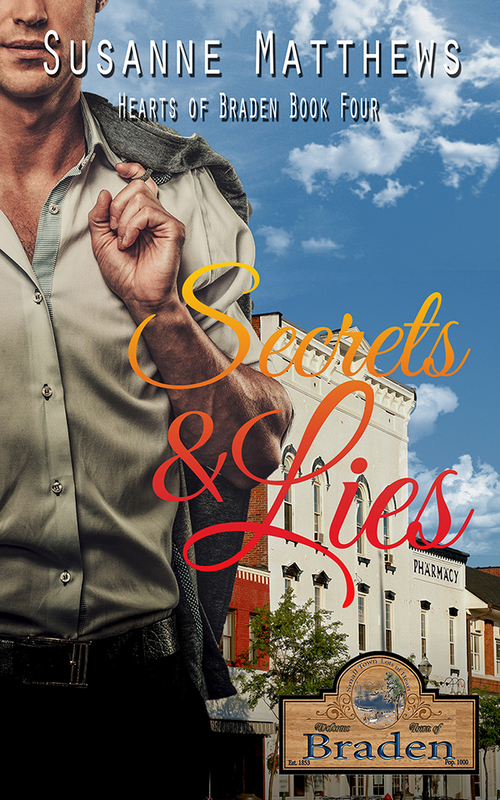 Secrets and Lies is a stand-alone novel, set in this small Midwest town, one of eight books, written by eight different authors with the major characters in one book becoming the minor characters in others, something that required a fair amount of back and forth emails and messages to keep the characters accurate. The Books of Braden aren’t all romantic suspense novels, since each author selected the premise for his or her own story. Since my forte seems to be romantic suspense, I elected to write in that sub-genre. So, what story would I write? In The Heartbreaker, one of the books that takes place a couple of months before mine, a devastating tornado rips through Braden. If you have ever been involved in any kind of natural disaster, you know that two things happen: people rebuild or people get discouraged and leave. Sadly, any time either of these things happen, you have opportunists who move into the area to take advantage of the lost and vulnerable. The town quickly fills with strangers—insurance adjusters, FEMA workers, construction workers, and the dregs of society, the crime organizations, wanting to establish a toe-hold for their business in an area. Good guys can sneak in too, so I had the chance to send in someone undercover. And what disguise could I give her that would put her in the right place at the right time? Meet Emily Shepherd, undercover DEA officer working in conjunction with the FBI and pretending to work for the FDA as a nutritionist implementing the new school lunch program. Enough acronyms for you? It’s been proven and documented that, after a natural disaster, substance abuse increases. Alcohol and drug use rise as do crime rates. Because of its proximity to other cities, the tornado leaves Braden ripe for exploitation. The Mexican cartel decides to set up a new meth lab, one the DEA and FBI want to shut down before it can get up and running. Sounds easy enough, but the Chef, the elusive meth cook, has been leading them on a merry chase for years. The unidentified criminal is always a step ahead of them. Why? There’s my premise. The town is in danger and Emily’s job will be to protect it and stop the bad guys, but who will they be? And who will be working on the inside to help them get established? One of the new teachers in town? The deputy who gives her a rough time, or the handsome school principal who seems to have an awful lot of money for an educator? Pick up a copy and find out. DEA agent, Emily Shepherd, is after the Chef, a crystal meth cook, who sets up labs for the Mexican cartel and walks away—the same man responsible for the deaths of her husband and unborn child. Her search leads her to Braden, Iowa, a small town just right for the Chef’s specialty. But identifying her quarry won’t be easy when she’s up against a woman who sees her as a threat, a male chauvinistic deputy sheriff, and an attractive school principal who might just be at the center of it all. Jackson Harris has sworn off women. Life is satisfactory, if lonely, until he meets a hazel-eyed damsel in distress who gets under his skin, and triggers that protective instinct of his. There's a killer in town, one who may or may not be a notorious drug lord. Finding him, and keeping his town, his students, and Emily safe, may be harder than he thinks. 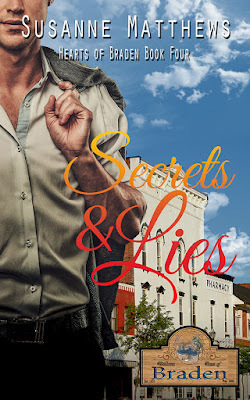 Secrets and Lies is an Amazon exclusive. “Why the hell didn’t you tell me the truth, Kyle? I had a right to know.” Emily Jacobson Shepherd sat in one of the hard chairs across from Kyle Kavanagh’s desk, fervently wishing she’d opted to stand, although by now that would probably be torture, too. She’d run the gamut of emotions these past eighteen months, but nothing matched her current fury. 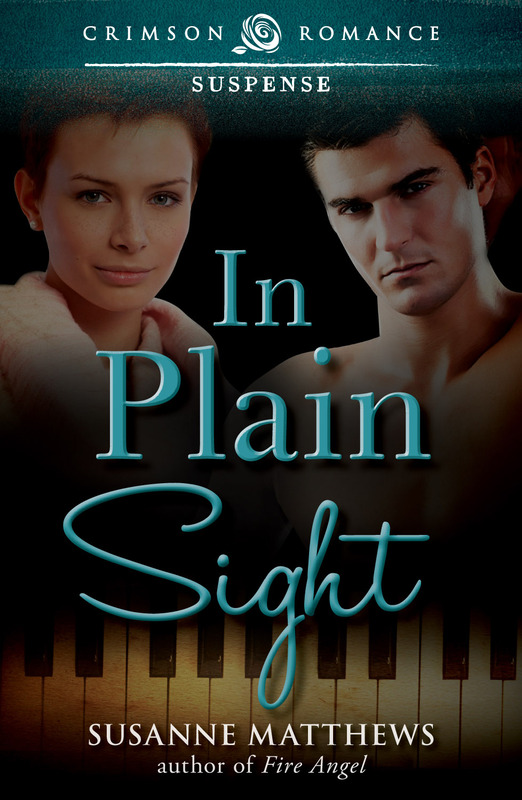 Please comment on the post for your chance to win one of two electronic copies of In Plain Sight, one of my earlier novels. Thank you so much for having me. I love visiting with all of you here. It would have take a lot of communication to pull this off. Love the idea behind the series. A great way to discover new to me authors. It was definitely an interesting adventure. The eight books are all different,and definitely well-written. We used the same cover artist and in 6 out of 8 books the same editor, too. I would enjoy reading your book. It sounds interesting. Love finding new to me authors!! Your books sound really great. Love to find new readers. Check out my website for ideas. Thank you. Most of the time, I have the title first and the story comes from it. Wow, interesting and complicated setting for the books. Obviously, you can't read just one. Would love to start with yours.